Four new boards containing historical and botanical information are in place in the Rookery. 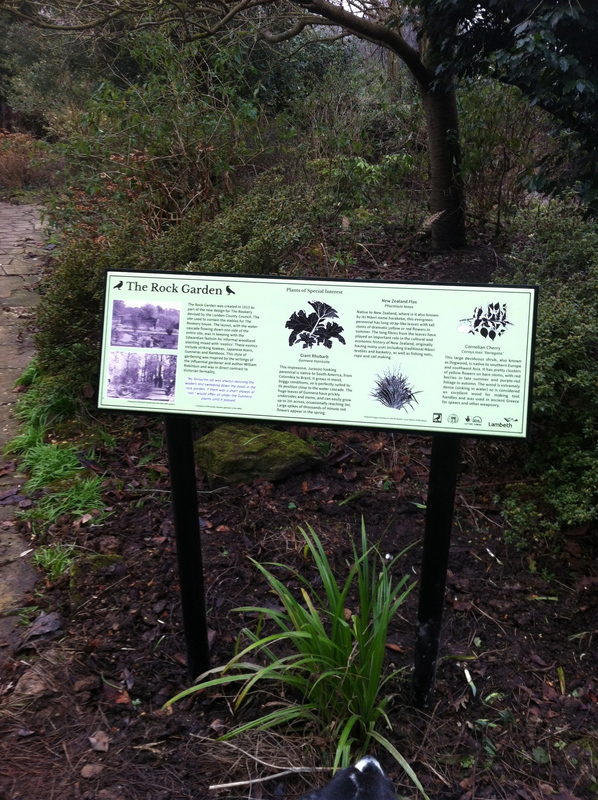 The content for the boards was developed by the Rookery Design Group as part of the Centenary Project (funded by Heritage Lottery Fund). The design was created by south London designer Michiko Nitta – www.michikonitta.co.uk.